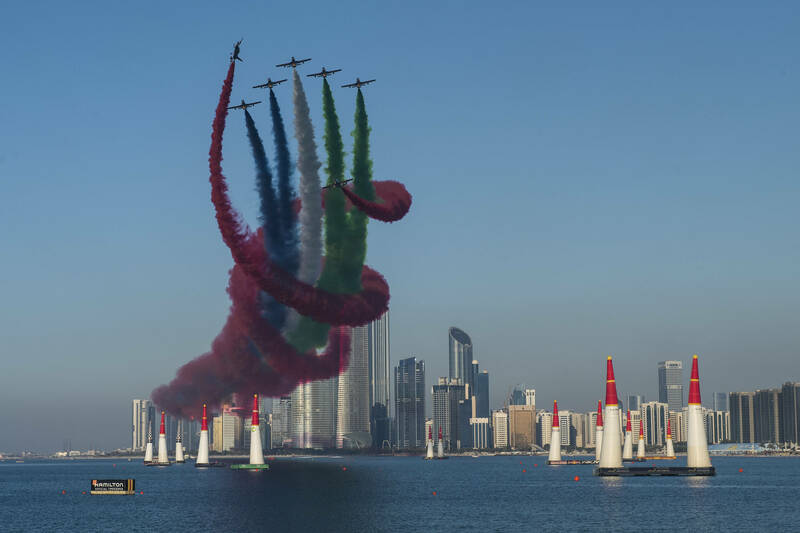 For the 12th consecutive year, the Red Bull Air Race will return for its traditional kickoff in Abu Dhabi, UAE on Friday and Saturday, February 8-9. With new team members and sponsors, raceplane updates, fresh strategies and key rule changes, the season opener always comes packed with more unknowns than any other race, and the points earned here could make the difference in clinching the World Championship this year. Accredited by the Fédération Aéronautique Internationale (FAI), the Red Bull Air Race World Championship is an aerial motorsport series that demands a combination of speed, precision and skill. Flying just metres above water or the ground, 14 Master Class pilots reach speeds of up to 370 km/h and endure forces up to 12G in technical racetracks of air-filled pylons. 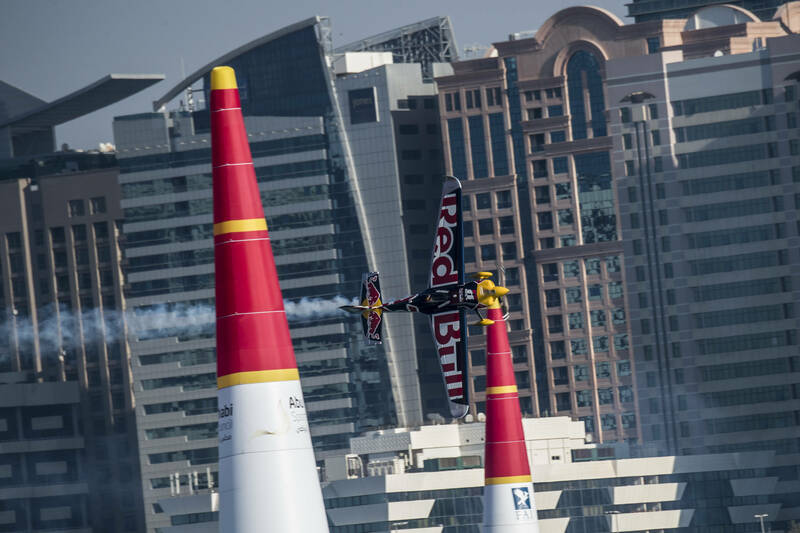 Holding the Red Bull Air Race season opener in Abu Dhabi has become a motorsport tradition. The cutting-edge, single-seat raceplanes fly right in front of crowds who line the famed Corniche shoreline, against a dramatic backdrop of Abu Dhabi’s sensational skyscrapers. With the same powerful lineup of 14 of the planet’s best air race pilots returning to the World Championship from 2018, fierce rivalries will pick up right where they left off at the season finale last November. Among those to watch: reigning World Champion Martin Šonka (CZE), keen to defend his first-ever title; Matt Hall (AUS) and Michael Goulian (USA), who finished just behind Šonka on the World Championship podium; Yoshihide Muroya (JPN), the 2017 World Champion determined to bounce back from fifth place overall last year; and Mika Brageot (FRA) and Ben Murphy (GBR), who have already challenged the leaders despite being the newest pilots in the field with only three complete seasons between them. 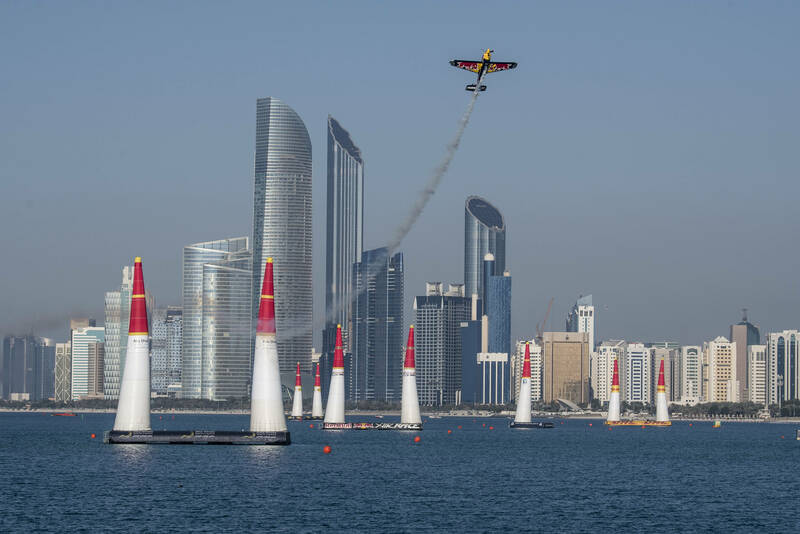 Four previous Abu Dhabi race winners are in the 2019 lineup: Michael Goulian of the USA (2018), Martin Šonka of the Czech Republic (2017), Nicolas Ivanoff of France (2016) and Kirby Chambliss of the USA (2006). The feeder class of the Red Bull Air Race, the Challenger Class, expands to 12 pilots this year, including newcomers from Austria, Switzerland and the USA. Six of these next-generation pilots will launch their season in Abu Dhabi, starting the campaign to earn points toward the Challenger Cup. Altogether across the Master Class and the Challenger Class, the 26 pilots represent 17 countries and six continents. Qualifying in Abu Dhabi will be on Friday, 8 February, and not only pole position is at stake: a new rule will award World Championship points for the top three pilots, making Qualifying Day more crucial than ever. Race Day is Saturday, 9 February, including three intense rounds before a winner is determined in the Master Class, as well as the excitement of the Challenger Class race. The Red Bull Air Race World Championship is an aerial motorsport series that demands a combination of speed, precision and skill. Using the fastest, most agile, high performance race planes, pilots compete in iconic locations over water and land. The high speed, low altitude and extreme manoeuvrability required make it only accessible to the world’s most exceptional pilots. Flying just metres from the ground, 14 Master Class pilots race against the clock whilst reaching speeds of up to 370 km/h, requiring a combination of precision and skill unmatched in the world of aviation. Pilots must be in peak physical condition as they endure forces up to 12G while navigating the technical racetracks made up of air-filled pylons. The Air Race was developed in 2003 and is accredited by the Fédération Aéronautique Internationale (FAI), with more than 90 races completed across five continents. As the most advanced aerial challenge in existence, competing in the Red Bull Air Race World Championship is the highest accolade for elite pilots.